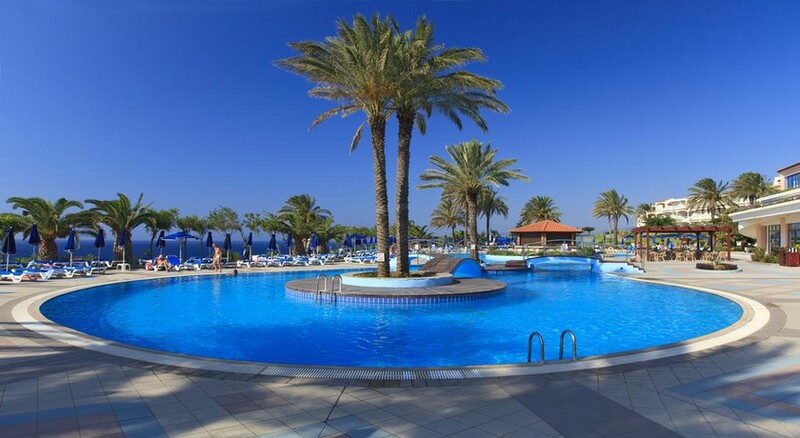 Located on a fine sandy Kiotari beach, the Rodos Princess Beach Hotel features 372 spacious and comfortable rooms that offer excellent views of the sun, sand and sea. The facilities offered by the hotel include lobby area with 24-hour reception, a clutch of restaurants and bars, a kids' club and a playground. There is a large exotic swimming pool with a poolside snack bar, a separate children's swimming pool as well as sun loungers and parasols free of charge (sun loungers and parasols on the sandy beach are provided for an extra charge). There is also a car and motorbike rental office within the hotel and room service is available for a small extra fee. 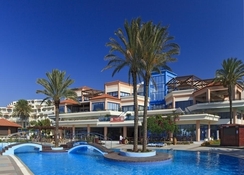 Located in south-eastern part of the island of Rhodes, the Rodos Princess Beach Hotel is hardly 200m from the beach. Downtown Rhodes is about 56km from the hotel, while Kiotari is only 1.4km. The beautiful town of Lindos is 17.1km away. The Rhodes International Airport is 60.6km from the property. All 372 rooms come with either a sea or garden view. Each room is equipped with a full bathroom with a bathtub and hairdryer, 24-hour centrally regulated air conditioning (1st June - 30th September), balcony or terrace, satellite TV, in-house music channel, a direct dial telephone, a small fridge, a minibar and a safe. The guestrooms are categorised as Eco Rooms, Double Room Garden View, Double Room Sea View, Family Room Garden View, Family Room Sea View, Superior Family Room, Executive Family Room, Executive Family Room with Sharing Pool, Family Suite and Executive Suite. There are a clutch of restaurants and bars at the Rodos Princess Beach Hotel. The Dionysos Main Restaurant serves buffet breakfast and an a la carte menu for lunch and dinner. The Venus Pool Restaurant located next to the pool offers great views of the pool and the sea. Diogenis Beach Bar & Restaurant located on the beach offers refreshing drinks and a variety of light bites. The Apollon Main Bar and Neptune Pool Bar house a wide range of wines, spirits and beverages. Guests may take advantage of an indoor heated swimming pool (depending on weather conditions and with an additional fee). The entertainment team organises sports activities on a daily basis such as beach volleyball, basketball, mini soccer, ping-pong and keep-fit classes. Children have their own swimming pool, an open-air playground and an indoor playroom. Kids' club activities for children from 4 - 12 years old are organised on a daily basis by specially trained staff. In the evening there is a variety of shows and on a weekly basis, a traditional Greek evening takes place with live Greek music and folk dancing. The following activities are provided for an extra charge: two floodlit tennis courts, a sauna, massages and several water sports (operated by a third party).